Hi everyone, Nikki here from A2A - Addicted to Art and I am hosting our latest challenge: Let's Celebrate. You may wish to focus on Christmas but this challenge is open to all celebrations - birthdays, new year, anniversaries etc. 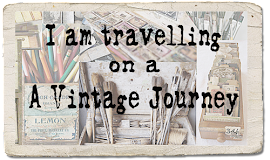 At A Vintage Journey, our challenges focus on the inspiration of Tim Holtz and we ask that you tell us how you have been influenced in your creation.You do not need to use his products though. Please take a look at the Travelling Instructions for clarification and the guide on interpreting the styles. Don’t forget to provide the name of our current challenge theme and a direct link to that challenge in your blog post. Country View Crafts are, once again, offering a £10 gift voucher to spend, to one winner who will be chosen by the team. We will also select our three 'Pinworthies'. Both the winner and the pinworthies will be featured on our Pinterest boards. The team have come up with some wonderful projects to inspire you. Do pop over to our personal blogs where you will find more detail on each of the projects. 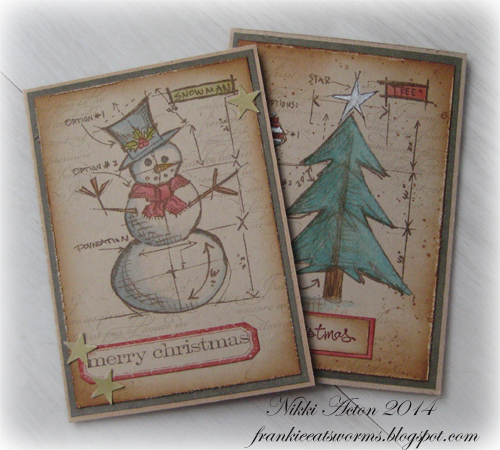 I have used some of Tim's blueprint stamps on these simple Christmas cards - using both distress inks and distress stains to add colour. Lots more details over at Addicted to Art. Christmas is a special time in the Brown household and we celebrate the season in a number of ways. Of course everyone loves giving and receiving gifts, but if your children or loved ones are getting harder and harder to buy for then a gift card is often welcome. This year I designed and made my own gift card wallets, the full instructions are on Bumblebees and Butterflies. With the holiday season comes much cause to celebrate and for those of us with a December birthday there is even more to be happy about. Tim's influence can't be missed on the front of my card. I used many of his great dies and two of his Texture Fades. 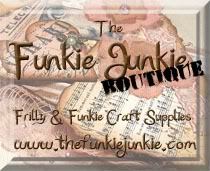 Hope you will drop by my blog here to see all the details. 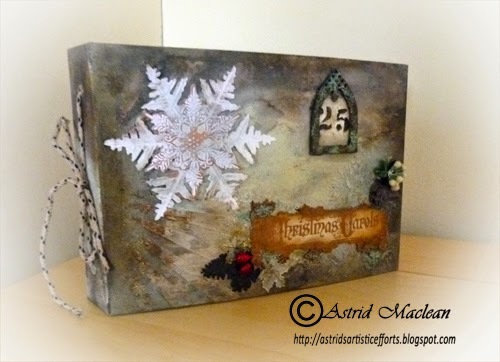 I was inspired by Nikki's challenge to create one more Christmas decoration for my home - using the small boxes inside Tim's Configuration Box. You will find lot's of photos of what I used to put this together on my blog post here. Singing carols is a big feature in my family's Christmas celebrations. With Christmas family gatherings of up to 30 people, singing carols in 4 parts is a regular occurrence. This led me to the idea that it would be great to finally have a place to keep some of the sheet music in. So I altered one of Tim's wonderful Worn Covers. To see more, please visit my blog. Never one to swerve a challenge in the midst of all the build up to Christmas, I've created a card to celebrate a family birthday. Can you spot the theme? 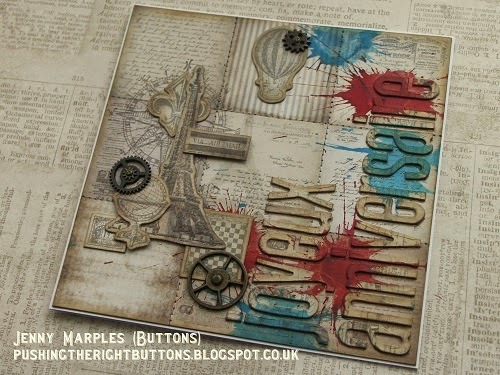 And I think the Tim Holtz influence stands out on this one too. Find out how this came together and see more over on my blog. I love Nikki's choice of theme - and New Year is always a time for celebration. I have kept my card fairly simple to show off Tim's new Alphanumeric dies, Ranger's Vintage Foil Sheets and my new love, the Distress Spray Stains. You can see more over on my blog. I have decided to go with the Christmas theme and have made a table decoration showcasing my handmade Tattered Poinsettias. We always eat "bistro" style in the kitchen, but for the Twelve Days of Christmas we move to the dining room for our meals and sit around the large, round wooden dining table made by my husband a few years ago. So this should sit perfectly in the middle. 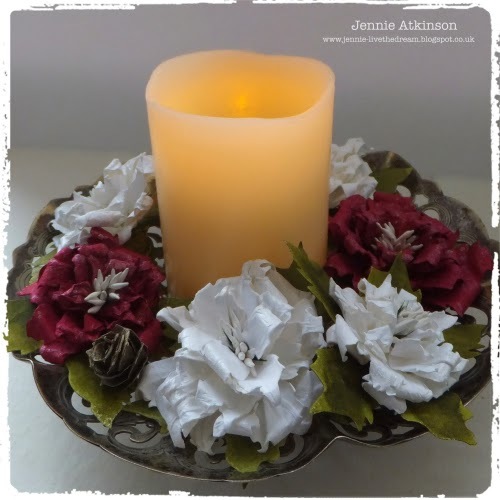 There are more details of how I made the flowers on my blog. 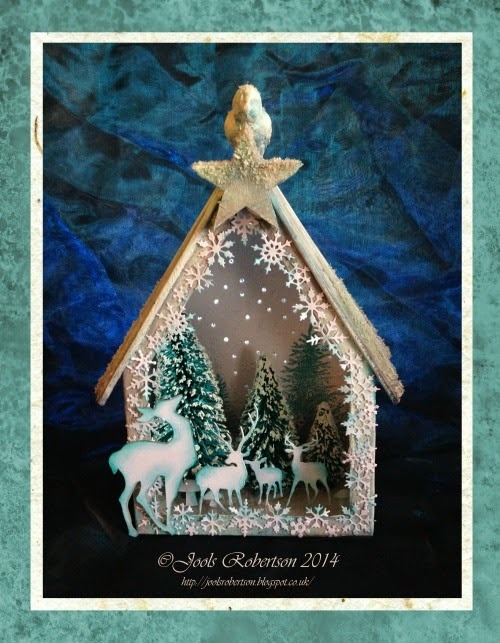 I adore Crafting all things Christmas, so I was delighted when Nikki chose the theme Lets Celebrate. I decided to make a Festive Home Decoration and altered a clock in Tim's Style. 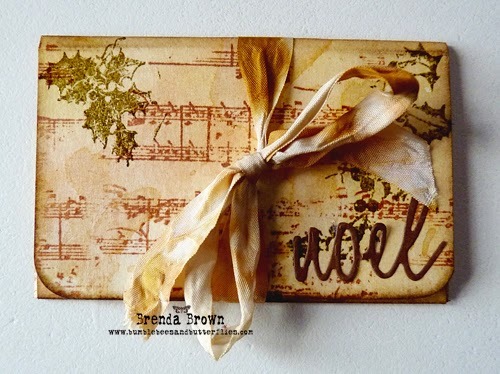 It would be lovely to have you visit My Blog to see the techniques I used. I love Christmas trees and snow scenes so I decided to carry on my current theme of Christmas decorations for Nikki's celebration challenge and created a Winter Wonderland. Using Tim's Dies, Idea-Ology and Distress products you can find more detail on my blog here. 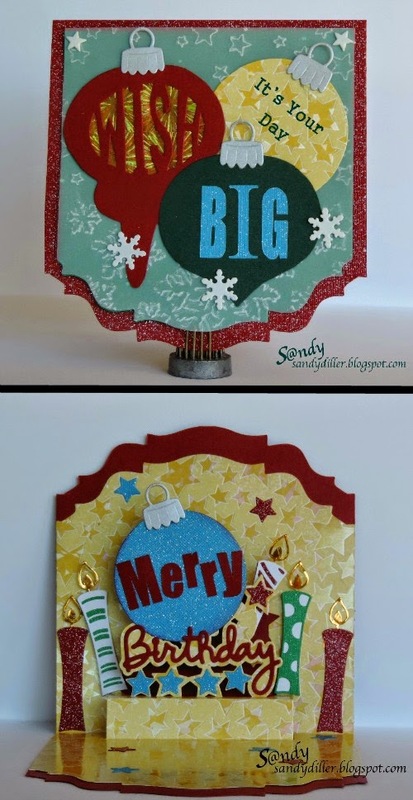 I was excited to join in Nikki's "Let's Celebrate"
challenge with my homemade Christmas ornament, using many of Tim's fabulous products and techniques. 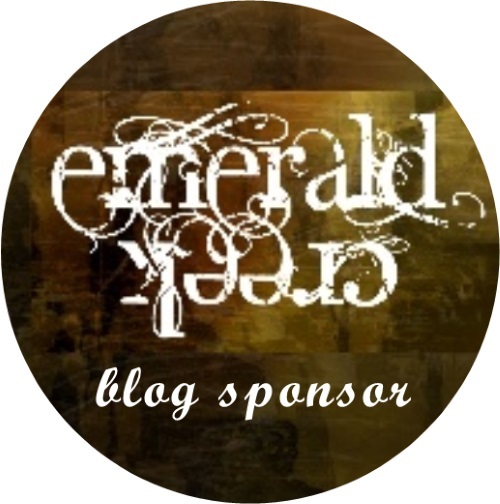 Please visit my blog if you would like all the details. We very much look forward to seeing what you create in the next two weeks. We have a bonus post this Sunday 14th December so do pop back and see us. The Creative Guides have taken part in a gift swap - a Secret Santa - each making something for someone else. We only knew who we were making for and not who we were receiving from. We will be sharing these gifts on the blog on Sunday. Lovely, beautiful, inspiring creations by all the DT's . Learnt a lot visiting all your blogs and so happy to be an early bird here with my creation! Hope you like it. Thanks. So many lovely and different projects to 'celebrate' ladies! 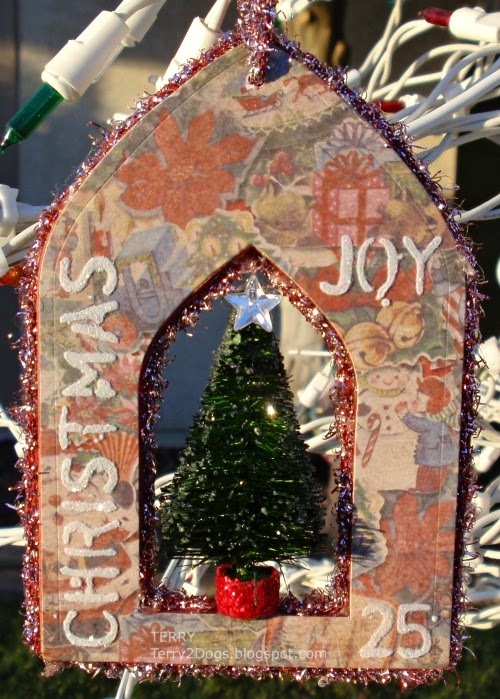 Oh wow, there is a wonderful festive feast of inspiration here today, the projects are beautiful! Fantastic creations from everybody again - looking forward to hopping round for a closer look later on! Wow totally amazing projects, I feel so honoured being part of this team. Off for a closer look. Absolutely gorgeous projects from the DT as always! Great challenge theme Nikki! Happy Weekend to all! Became a follower and email subscriber. Thank you for hosting a wonderful Challenge. We certainly are a diverse group of creative souls. Such lovely things to look at and so nice to learn from each of you.